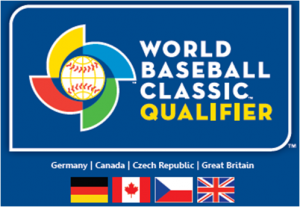 Great Britain kept their World Baseball Classic hopes alive on Saturday afternoon with a 12-5 victory over the Czech Republic in Regensburg, Germany. 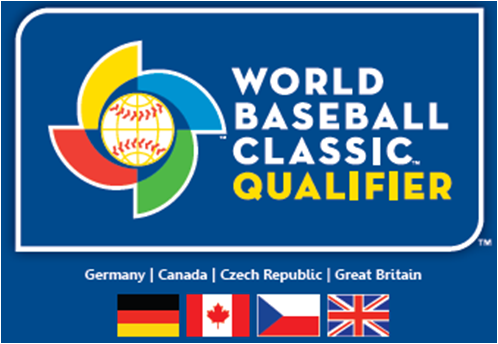 After a chastening seven-inning 11-1 loss to Canada on Thursday, Team GB knew it was time to win or go home against the Czechs and they proved that they were not prepared to end their time in Germany just yet. They jumped out to an early 6-0 lead against starter Jan Blazek and while the Czechs showed plenty of battling spirit, Great Britain were always able to keep a distance between themselves and their opponent from them on, in part due to a strong starting outing by Jacob Esch (IP. 6, H. 5, R. 2). From the Czech’s point of view, they may now regret starting with Blazek rather than Alex Sogard. Sogard pitched in Double-A Stateside this season and showed his quality in 3.2 innings of one-run ball in relief of Blazek. Manager Andrew Berglund had to share out the pitching innings in one way or another and GB scored runs off Marek Minarik and Jan Homolka in the later innings, so it’s quite possible it wouldn’t have made a difference. However, both teams were desperate to get off to a strong start after losing their opening game in the tournament. Team GB did just that against Blazek and they never looked back. Whilst Esch’s starting performance, B.J. Hubbert’s use of some ‘oppo-boppo’ (a solo home run to right-centre) and Albert Cartwright’s 3-for-5 day at the plate caught the eye, veteran GB fans would have found it particularly enjoyable to see GB veterans like Aeden McQueary-Ennis (2-for-5 with 3 RBI), Alex Smith (securing the last four outs on the mound) and Brad Marcelino (a good pinch-hit at-bat in the ninth inning ending with a line-out to the right-fielder) also getting some playing time in such a big event. Richard Klijn, who has been part of the GB set up through the youth programme and onto the senior squad, is another Team GB regular playing his part in this event and he made four nifty fielding plays at second base against the Czechs. Klijn did commit an error as well as part of a somewhat sloppy seventh inning and it is little mistakes like that (add on Sam Wiley twice being caught out at third base as two other examples, although to his credit he did go 2-for-4 at the plate) that can be so costly against better teams. Such slips are always likely to occur when you are stepping up and competing at a higher level than you normally play at. Everything happens just that little bit more quickly and it’s all part of the learning curve. You only improve as a player when you challenge yourself against better competition and players like Klijn will benefit greatly from the experience of this tournament, including the experience of playing alongside some of his new pro-league teammates. Whilst the Czech Republic’s impressive September of baseball is now over, Great Britain remain alive and will play again on Sunday at 13.00 BST. Their opponents will be the loser of the Saturday night clash between Canada and Germany and either team will be tough to beat. Team GB understandably will be the firm underdogs, but they say every dog has its day and Sunday might just be the turn of the British bulldog to cause an upset. Sunday’s game can be watched live online at www.worldbaseballclassic.com.